You might be asking, what exactly is the Miss Blanco Joyful Box? Well, it's a new subscription box service. It is run by Canadians who ship out of Ontario. They ship this box to Canada, US, Germany, Spain and the UK. It is a lifestyle box which includes a homemade item, makeup, and more. October is the first month that these boxes have been shipped out. Each box will include 4-5 items, and costs $38 Canadian (plus taxes and $6 Canadian for shipping) or $28 USD, depending where you are. My first box did have a discount so that shipping was free, but it still was $41.04 Canadian all said and done. To be honest, the price is a little steep to me for a subscription box. But they are just starting up, and shipping costs alone in Canada would be around $10 and up per box (based on my own shipping within Canada experience). I wanted to support a fellow Canadian beauty enthusiast, so I decided I would give it a try. I have spoke to the founder a few times through a common Facebook group, and I had actually won an ofra shadow palette she was giving away before the box had been announced. Signing up on her business page and participating on her Facebook posts qualified me as a VIP (more about this below) member. Right now on the website you can only sign up for month to month, which is the $38 per month cost. There is also an option now where you can sign up for be a VIP for $30 more which is an annual fee. VIPs will get extra perks and opportunities to try products, along with hearing promotions first. Since I actually won this from participating with her group, there were two bonus items in my box. Miss Blanco Joyful Box also has a shop section on their website where you can buy one time boxes, VIP service, or a surprise box which is a little less dollar wise, and you get one or two less products. They do offer a referral program which gives you and your referral $5 off your next order, and all you do is use the person's name who referred you, on the checkout page. I think I got all of that out! Here's a look at the box I received for October 2016. This was made in three colours - green, yellow, and orange, from what I have seen. This can be found on Etsy. The exact link was not given, but apparently will be available in the Miss Blanco online shop. The retail value says it is $20.99 Canadian, but honestly it is very tiny. And I could never imagine someone spending that much on an item like this. I think it is cute but not entirely my taste, I will be passing this product to a friend that I think would enjoy it more. This is such a strong scent! As soon as I opened my box I could smell it. Soap isn't the most exciting item to receive in a subscription box. But it is something I will definitely use. The cupcake is cute! Floral scents are never my first choice but I will use them if I have them. The information card says this was made exclusively for the box, and the retail value given is $6.00 Canadian. 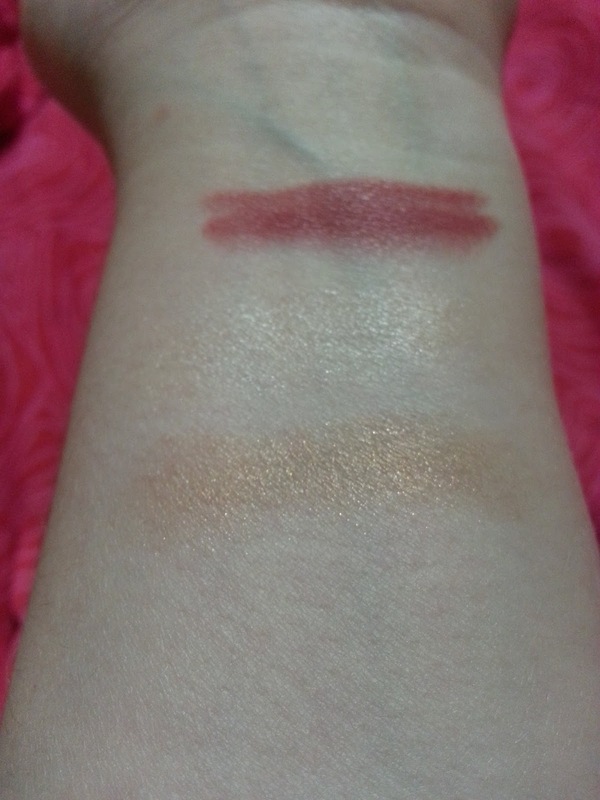 There were two colours of these lipsticks being sent out, joie and j'adore. 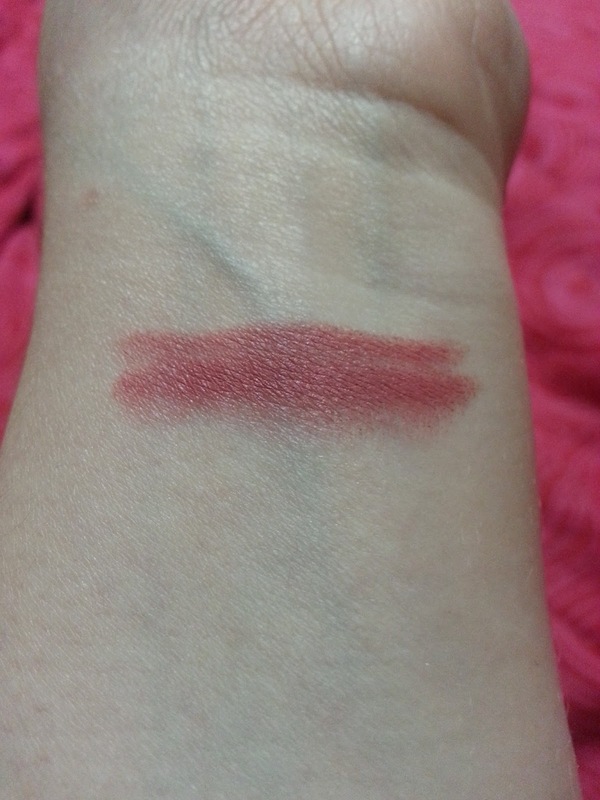 I received it in joie and I'm glad I did because this is a shade I would often wear. It's pink and is almost a your lips but better colour. The other shade was more orange and I don't think it would work for my skin tone. I did find the formula to be a little drying while on the lips, but it did provide good coverage. The retail value given for this is $31.00 Canadian/$24.00 US. I didn't know this was going to be in the box, and to be honest I almost missed it entirely. It isn't on the card either. I guess this was just thrown in last minute. I'm not too sure. Anyway we all know that elf brushes are super affordable and this one retails for $1 US. I dont have a lip brush and it was something I was just thinking about, but an elf brush isn't something I would like to see in a subscription box. I love body wash, and I really don't mind seeing it in subscription boxes. It's just one less item I have to buy or can put off buying until I really need it. This has a strong scent. I haven't had a chance to use it yet, but they were sending these out in either body wash or hand cream, and I'm glad I got it as the wash. This has a retail value of $6.75 Canadian. Which I think it kind of pricey considering that you can get huge sizes of body washes from the drug store for about $4. As I said in my last post, I love masks. All types of masks. Sheet masks, charcoal masks, bubble masks, you get the point. I was happy to see this because I've heard great things about Caudalie, however I just received one in my RachhLoves Limited Edition Topbox. I haven't had a chance to try it yet as I'm trying to get through some other masks, but this makes me wonder if this mask came from that as well. This is for damaged and over-processed hair. I actually just received this for free in my sample source box, and I did see someone else say topbox just sent it out as well. If this was included as being part of the regular box, I wouldn't be too happy. But this was added as an extra free bonus. Overall, I do like the assortment of products. The only thing I can't really see myself using is the Crochet Coin Purse but I could probably pass it onto a friend who would like it. I don't think the value of the box is $90 and I do believe $38 plus tax and shipping is a little too expensive for this, but I will continue to stay subscribed for just a little longer. Remember this is just the first box to launch and hopefully they will grow from here with everyone's input. I have already received a questionnaire asking what I would like to see for future boxes such as specific items or discounts, etc. The founder would like to hear feedback so they can try and improve on future boxes. I wanted to get this blog post up as soon as I received my box because I know there were some people interested in seeing what type of products were sent out, and if they believed the value was there. I can't wait to see what next month will bring. From what I've read on Facebook is that a scarf will be included in a future box! If you're interested in joining Miss Blanco Joyful Box - you can subscribe at missblanco.ca - you can also use my name as a referral and we both would get a $5 credit towards the shop!